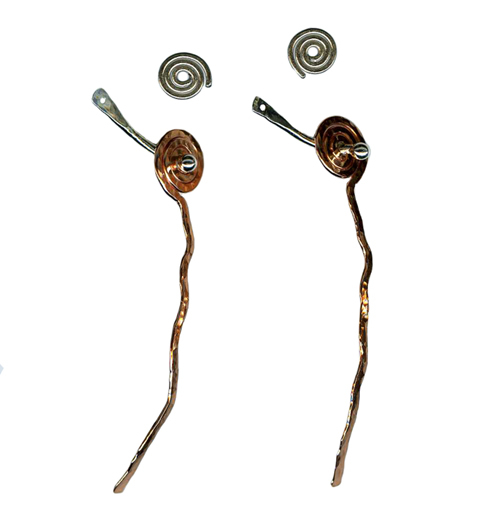 These earring jackets can be added to any post earrings to create a new look for variety. 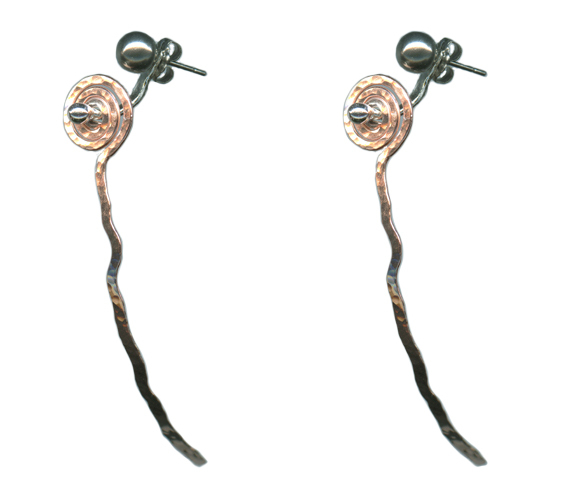 These earring jackets are milled and hammered 16 gauge copper in a unique spiral pattern and suspended from fine sterling silver connectors. A separate milled and hammered titanium spiral spacer placed on the post between the jacket and the ear prevents contact of the silver with skin. The jacket is treated with an anti-tarnish finish and can be cleaned with water or mild soap. This style earring jacket can be worn attached in the front between the post earring and the ear or behind the ear between the ear lobe and earring clutch.